For my weekly cooking lesson with my mom, I killed and cooked my first lobster! We decided to make two different recipes with our lobsters. This is the first recipe we made, a very quick and simple way to cook lobster with a ton of flavor. Bring a large pot of water to boil, turn off heat, then add the lobster. Cover and cook for 3 minutes. Remove all lobster meat from shell and cut into large chunks. 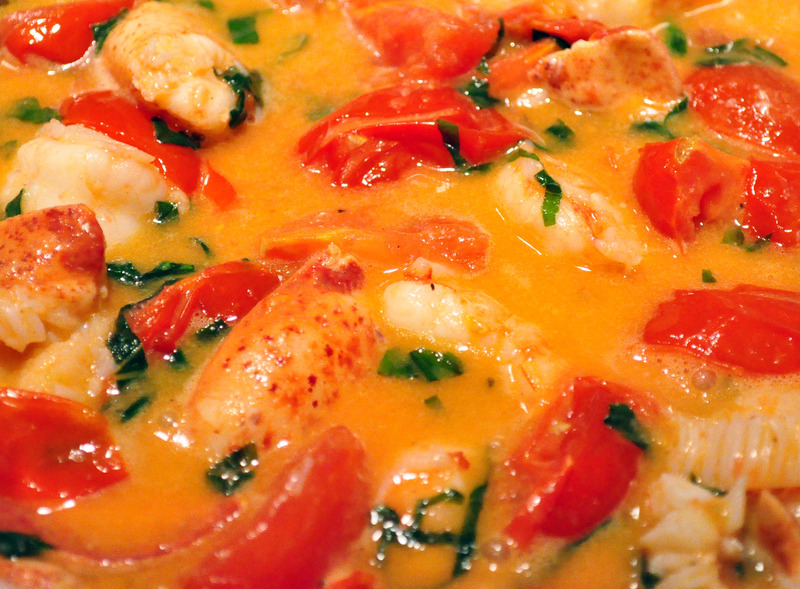 Add the lobster pieces, shrimp, basil, garlic, and tomatoes and cook on medium-high for 5 minutes, stirring occasionally.